Fruitless Pursuits: FPcast! The Fruitless Pursuits Podcast for March 10th 2014! Remembering the Nineties! FPcast! The Fruitless Pursuits Podcast for March 10th 2014! Remembering the Nineties! This week we are all wrapped up in Nineties Nostalgia! 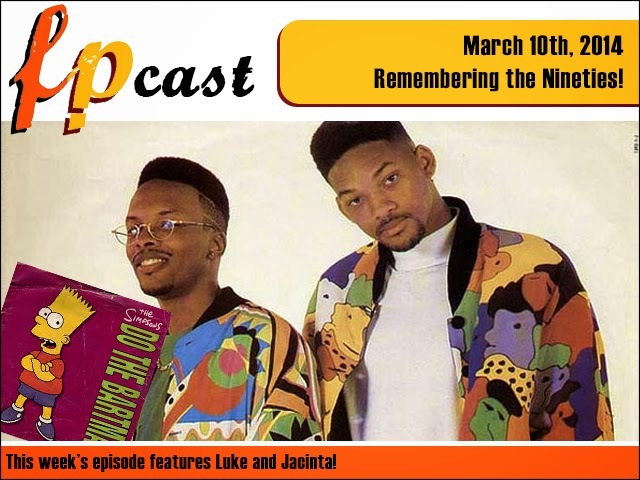 We reminisce on what we were watching, what we were listening to, what we were reading, and what we were wearing. And how many times we did The Bartman. PLUS we give our warts and all review of 300: Rise of an Empire. THIS. IS. PODCAST! Or just subscribe to us on iTunes! National Theatre Live - Coriolanus Review!